Sapphires have been a classic choice for engagement rings for many centuries. In 1796 French Emperor Napoleon proposed to his beloved Josephine with a sapphire engagement ring featuring a pear-shaped sapphire next to a pear-shaped diamond, on a simple gold band. And until the twentieth century sapphires were more popular than diamonds as a featured gem in engagement rings. Although today diamonds are the most common center gemstone for engagement rings, lately it seems that a growing percentage of couples are opting for richly hued sapphires. Aside from their beauty, a sapphire is a great choice for an engagement ring because they’re among the world’s most durable naturally occurring elements—the only natural item that can scratch a sapphire is a diamond! 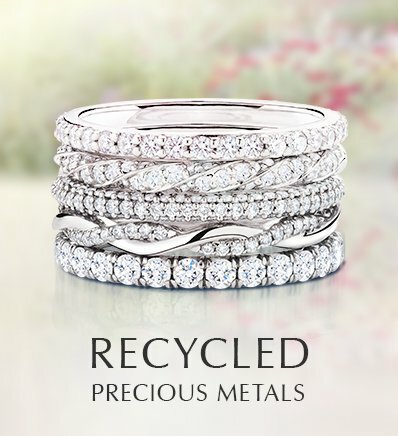 That strength helps them stand up to the everyday wear required of an engagement ring. You may think of sapphires most often being the centerpieces of very classic, regal designs like Princess Catherine’s engagement ring, but we’re seeing many couples pairing sapphires with more contemporary and distinctive nature-inspired rings. 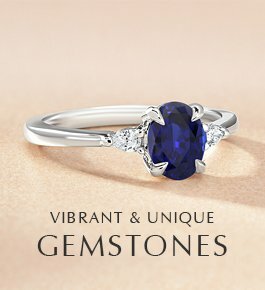 The rich colors of sapphires are beautifully accented by the curving bands and drawn-from-nature details of rings such as the Sapphire Willow Diamond Ring and the Sapphire Petite Luxe Twisted Vine Diamond Ring. One very popular and classically beautiful style for sapphire engagement rings is a diamond halo. These styles really highlight the center sapphire by encircling it in the sparkle of diamonds. 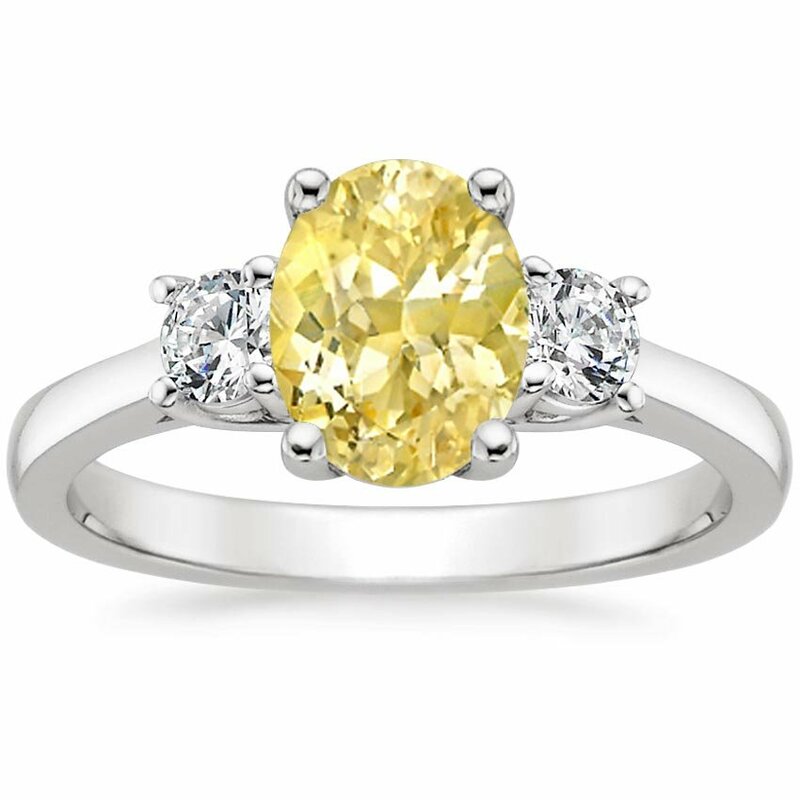 You might be surprised at the wide variety of sapphire and diamond halo ring styles. 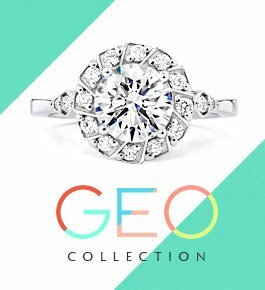 There are classically glamorous looks like the Sapphire Halo Diamond Ring with Side Stones and the Sapphire Circa Ring and more understated, elegant designs like the Sapphire Waverly Diamond Ring, which features a thin band and micro pavé diamonds. For a lavishly detailed, vintage-inspired look there’s the Sapphire Alvadora Diamond Ring and the Sapphire Contessa Diamond Ring, which features engraved scrollwork along the band. 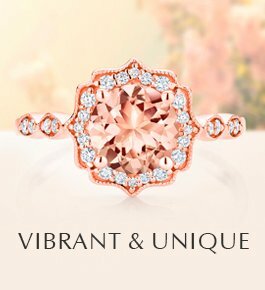 Although classic blue remains the most popular color for sapphire engagement rings, a growing number of couples are choosing sapphires in more unexpected hues, including yellow, peach, green, pink, orange, purple and even white! Sapphires come in every color of the rainbow, even red—though you know red sapphires by their other name, rubies. 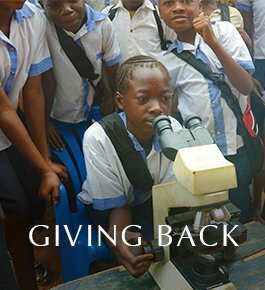 We offer oval yellow sapphires and round pink sapphires as standard options in many of our engagement ring designs, and you’ll find an expansive range of beautiful colored sapphires in our collection of Unique Colored Gemstones. These gorgeous and distinctive sapphires can be set into the engagement ring setting of your choice. 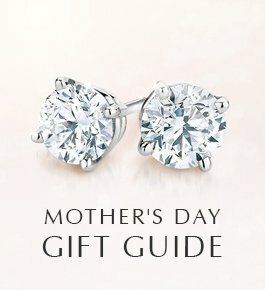 For brides who adore sapphires but want a diamond as a center gemstone, a great solution is to use sapphires as accent gems around a center diamond. For nature-inspired takes on this trend, check out the Willow Ring with Sapphire Accents and the Chamise Ring with Sapphire Accents. The sought after Circa Diamond Ring with Sapphire Accents is a glamorous style featuring sapphires encircling a diamond halo around the center diamond. 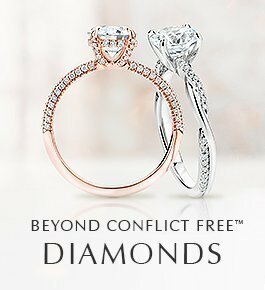 And for an utterly timeless design, the Three Stone Diamond and Sapphire Trellis Ring features a diamond nestled between two sapphires—a look said to represent a couple’s past, present, and future. 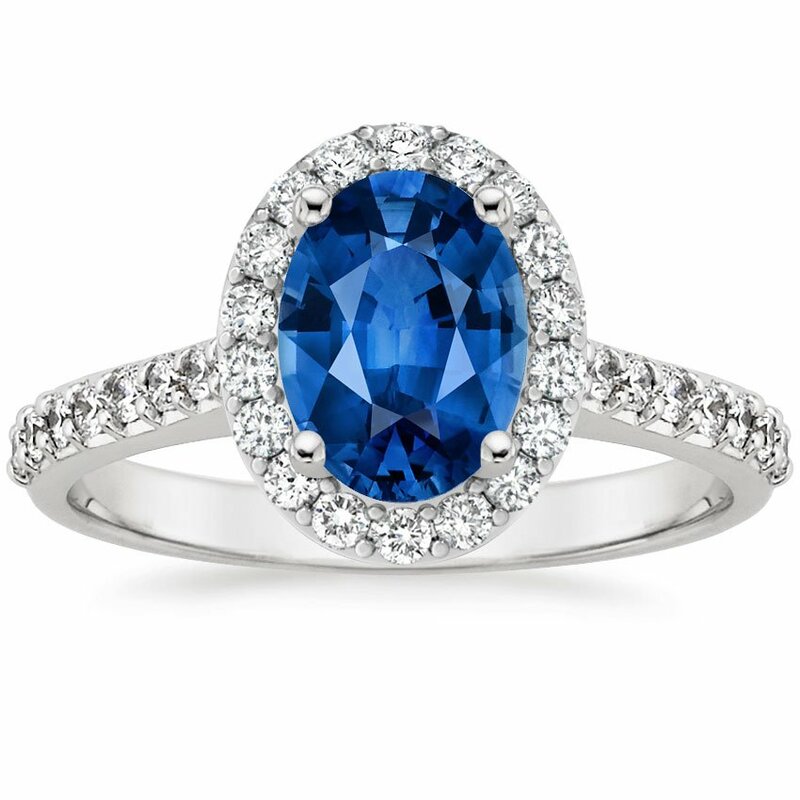 Do you love sapphire engagement rings? Of these trends, which is your favorite? Let us know on Facebook or Twitter, or in the comments section! The rings are looking very pretty and mostly the 1st one. 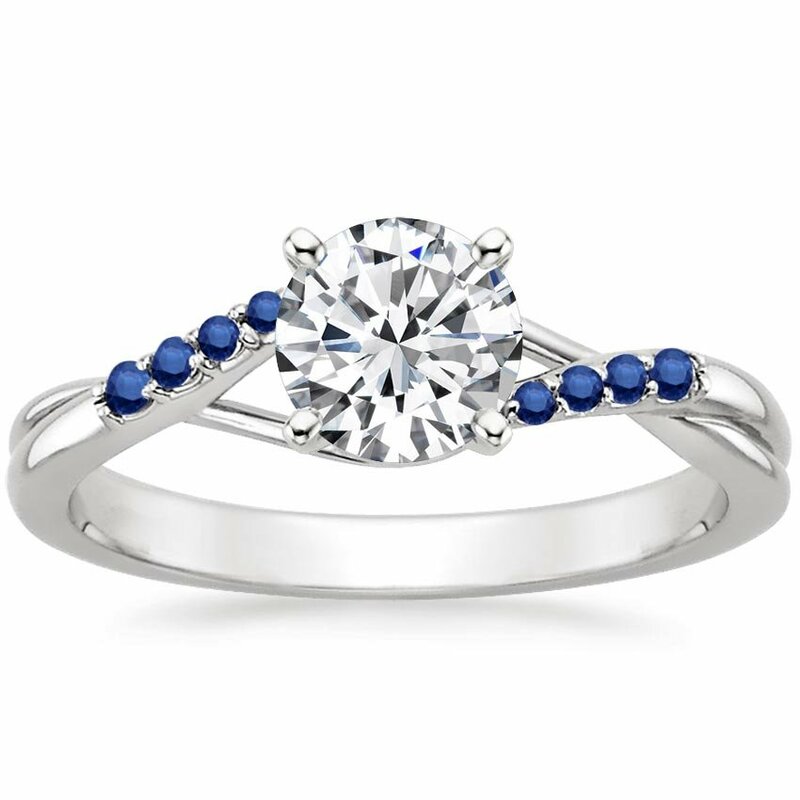 In sapphire Engagement rings we can find the more designs and various colors. 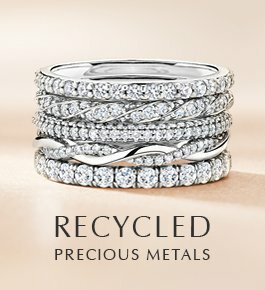 I like to know why the diamonds in these rings are more expensive.